INS and the American Nurses Foundation (ANF) are strong partners. Among the many interests and commitments we share are research grant funding and membership on the Nurses on Boards Coalition. ANF is a primary resource for researchers and scientists seeking funding to support their research efforts. Since 2009, INS has been a proud sponsor of an ANF research grant that is awarded to those interested in research related to infusion therapy. To recognize our commitment to ANF, they have made annual awards for scholarships from the Gardner Foundation. These activities demonstrate the mutual benefit that collaboration offers. It goes without question that research is needed to support our professional clinical practice. As more research is done, more questions arise or gaps in knowledge are identified that need to be explored and filled. Based on that belief, NOBC launched a nationwide campaign to encourage nurses to serve on a wide range of boards that could benefit from the expertise of nurses and have "strategic influence to improve the health of communities and the nation, including any private and public corporate boards; boards of nonprofit, nonnursing organizations; advisory or governance boards; and commissions and appointments that have fiduciary and/or strategic responsibilities. "2 The aim of the initiative, "10K Nurses by 2020," is to help ensure that at least 10,000 nurses are on boards by 2020. NOBC is counting the presence of nurses on boards, and with 2020 approaching, there's a lot to accomplish. For those nurses currently serving on boards, whether in an organization, school, or community, to name a few, you are encouraged to have your contributions counted. 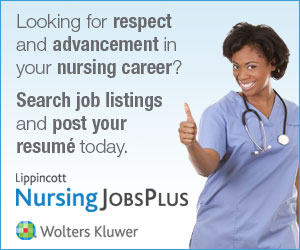 To date, NOBC reports that more than 2700 nurses are on boards. Strategies have been identified to further NOBC's ambitious goal of nurses on boards. They include building a pipeline of qualified candidates, increasing the number of board appointments, matching the needs of boards and opportunities with nurse leaders, and strategically targeting key board positions. Infusion nurses-all nurses-bring unique and needed perspectives and skills to any table they sit at. So, I encourage you to seek opportunities and appointments on boards where the voice of nursing can make a difference to the health of our nation. Share with your colleagues information about NOBC's campaign. For nurses interested in board development and competencies, check out the numerous resources offered by NOBC, which can be found at http://nursesonboardscoalition.org/. And researchers, be on the lookout this spring for the grant and scholarship application deadlines. INS and ANF respect the research being done to advance patient care and the health of our nation.